Glasgow Warriors followed in the footsteps of Saracens earlier in the day by going from runners-up last year to league champions, defeating Munster at Ravenhill to lift the PRO12 championship. Just as Saracens had in beating Bath at Twickenham earlier in the day in the Aviva Premiership final, Glasgow flew out of the traps and built up a 21-3 lead by the 32nd minute. Rob Harley touched down for Glasgow's first try before Dth Van der Merwe added a second in the 25th minute. 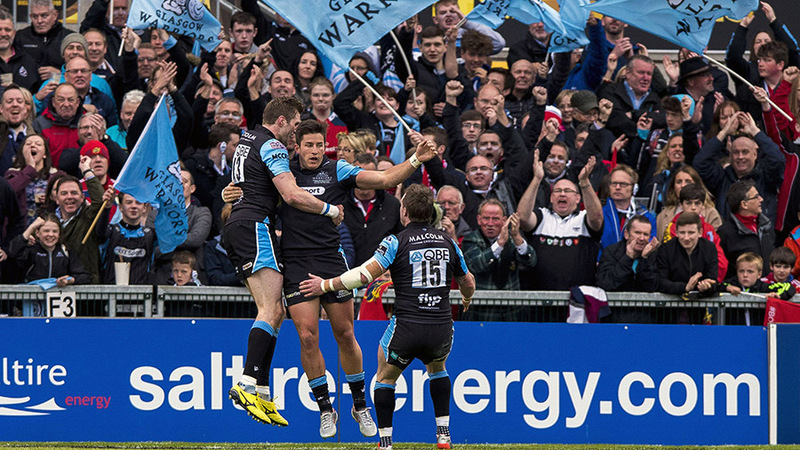 Scrum-half Henry Pyrgos sprinted over soon after and the travelling Glasgow support could barely believe how easily it was all coming together. However, Munster hit back before the half with Ian Keatley being awarded a try after referral to the TMO shortly before half-time. Paul O'Connell, playing his final game for Munster, looked like he was going to get a rare try in the second half, but he was held up over the line. A penalty by Keatley at least narrowed the deficit to 21-13. 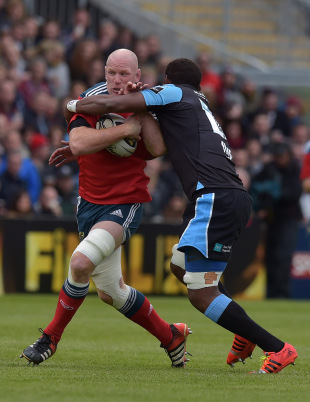 But Glasgow stemmed the tide and then extended their advantage, Finn Russell bursting clear from a ruck to score his side's fourth try of the match midway through the second half. A Duncan Weir penalty put the outcome beyond doubt before Gregor Townsend's men could celebrate a first PRO12 triumph for a Scottish side.